The third hour of NBC’s “Today” will look a lot like the first and second hours of “Today.” For today. In the wake of the cancellation of Megyn Kelly’s hour of the program, NBC is planning – for now – to utilize the crew that anchors the first two flagship hours of the show to carry it forward in its third. 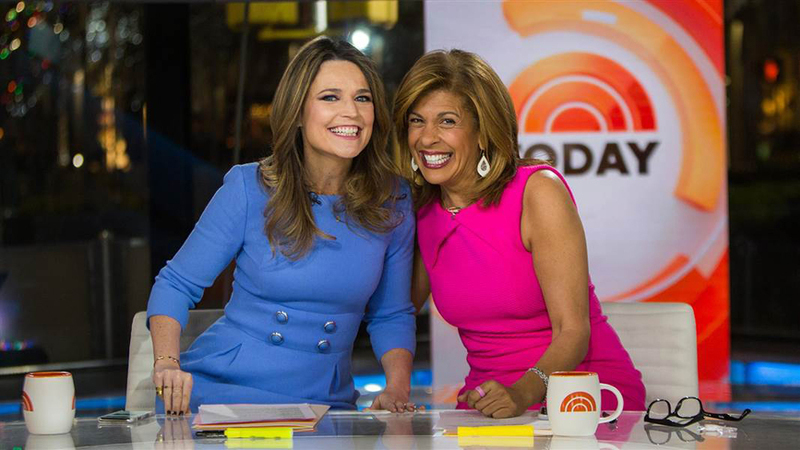 Savannah Guthrie, Hoda Kotb, Al Roker and Craig Melvin are expected to greet audiences in a 9 A.M. hour that will, in many respects, seem like a continuation of what drew audiences to the program earlier in the morning, according to a person familiar with the show. ”We are starting a new chapter in the third hour of our show,” said Kotb during the first minutes of the 9 A.M. broadcast, hinting that the format was likely to evolve. NBC News has had to work fast to devise a replacement for Kelly’s hour, which was based in its own studio and took place in front of a live audience, often filled with “regulars” who attended many broadcasts. Kelly and NBC News had been in loose discussions about finding a new role for her other than host of her 9 a.m. program. The mid-morning show did not fare better than its predecessor, a “Today” hour led by Tamron Hall, Al Roker, Willie Geist and Natalie Morales, and drew outsize scrutiny. But the show’s viability took a turn for the worse last week after Kelly opened Tuesday’s broadcast with a discussion of Halloween costumes and blackface that sparked criticism not only on social media, but also from NBC News colleagues including Roker and Melvin. The challenge for the network, at least in the short term, appears to be logistics. Guthrie, for example, is on Monday reporting from Pittsburgh, while Kotb also has responsibilities anchoring the franchise’s fourth hour with Kathie Lee Gifford. What’s more, anchors and crew from the show’s first two hours often find themselves having to tape updates of the program for viewers on the west coast as big breaking news stories evolve over the morning. That could make the task of having them present for all segments of the third hour daunting. To ease the transition, NBC had Jenna Bush Hager stationed in Studio 6A, the studio that has been used to broadcast “Megyn Kelly Today” live. She picked up host duties after the show’s first 20 minutes. Producers wanted to close the first two hours as they always have – from the home base, Studio 1A – so they kicked off the 9 A.M. hour there. Jackie Levin, who had been the executive producer of Kelly’s program, remained at the helm of Monday’s broadcast. A live audience was present in the second studio, where Bush was joined by Roker and Melvin to tackle segments about cooking and Halloween as well as one about a man saved from a surprising illness. These are topics that might have surfaced on Kelly’s broadcasts. Other elements are gone, including a wrap-up segment during which the live audience was given free prizes.